There are films for all ages and tastes premiering in Australian theatres this month. From drama and magical adventure, to biopics and thrillers, start with these top 5 movies in March. Jennifer Lawrence (American Hustle, The Hunger Games, Winter's Bone) stars as a Russian ballerina, obsessive in her craft but tempted by the freedoms of the West. After she's forced from the stage, she searches for an outlet for her physical and seductive powers as a dancer, becoming twisted in the schemes of a CIA handler (Joel Edgerton - Animal Kingdom, The Gift). She's recruited to an outlandish project to train a squad of super-spies. Pushed to her physical and psychological limits, she's unleashed on a mission, controlled and manipulated by the CIA. As she flirts with loyalties in Russia and the US as a double-agent, she's forced to choose between betraying her past or her future, for love or duty. Red Sparrow also stars Charlotte Rampling (45 Years, The Verdict), Mary-Louise Parker (Red, Solitary Man) and Jeremy Irons (Reversal of Fortune, The Mission). Disney have added magical fantasy to the coming of age teen drama, in a tale with nods to Alice in Wonderland for the 21st century. The story begins with Meg (Storm Reid - 12 Years a Slave), a high school student, trying to find her place in the world when her father, a physicist (Chris Pine - Wonder Woman) disappears. When her brother searches for help, he uncovers a trio of women, mysterious but also wise. These guides (Oprah Winfrey, Reese Witherspoon, Mindy Kaling) from the stars reveal the gravity of her father's plight and the true purpose of their arrival. Enchanted by their magic, Meg is compelled to begin a journey on a wrinkle in time, transported through time and space to distant lands. On an otherworldly adventure, she must discover her true gifts to rescue her father, defeat evil and return home. 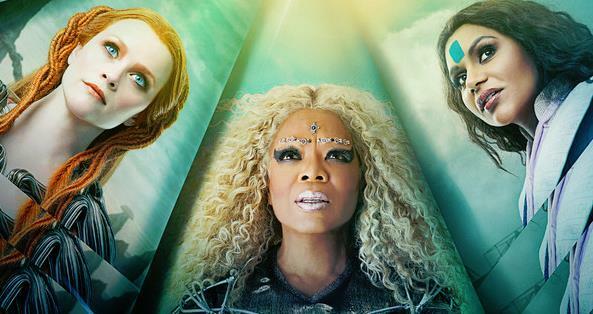 Directed by Ava DuVernay (Selma, 13th, Life Itself), A Wrinkle in Time also stars Levi Miller (Jasper Jones, Red Dog: True Blue), Zach Galifianakis, Gugu Mbatha-Raw and Michael Peña. The story of Jesus offers endless opportunities to explore his story through the lenses of faith, history, culture and human drama. In this retelling, Mary Magdalene (Rooney Mara - Carol, Her) is the focal point, and a timely choice as the mystery surrounding her influence and contribution continues to fuel conspiracy theories and reinterpretations of her life. As questions of her relationship with Jesus and her efforts to spread Christianity after his crucifixion are portrayed, this personal story reveals the power of belief and devotion. She creates a new way of life, inspired by the deepest spirituality she found with Jesus of Nazareth (Joaquin Phoenix - Walk the Line, Her, The Master). Mary Magdalene is directed by Garth Davis (Lion) and also stars Tahar Rahim as Judas Iscariot andChiwetel Ejiofor (12 Years a Slave, The Martian) as Peter. Celebrity relationships captivate the public and before Brad and Angelina, Gloria Grahame's (Annette Bening - The Kids Are All Right, American Beauty) romantic life was splashed across tabloid front pages. She found stardom in Hollywood with her seductive allure in roles with Humphrey Bogart and Jimmy Stewart. Her talents as an actress won her the Academy Award for The Bad and the Beautiful, despite appearing on-screen only nine minutes. Her love life drew as much attention as her stage and screen performances, as she flitted through four marriages, including a romance with her stepson, plunging her into a nervous breakdown. In the 1980s, while performing in England, she found solace with her former lover, Peter Turner (Jamie Bell - Snowpiercer, Billy Elliott), and it's his biography which inspires this biopic of Gloria's life. Film Stars Don't Die in Liverpool also stars Julie Walters, Vanessa Redgrave and Stephen Graham. 50 years ago, before the widespread use of satellite navigation, a British newspaper sponsored a non-stop, single-handed, round-the-world yachting competition, the Sunday Times Golden Globe Race. The race to become the first person to accomplish the feat began with 9 competitors, from Britain, France and Italy, with their progress tracked with radio reports, log books and newspaper stories. The sailors would battle the ocean, weather, and their yachts, but the greatest challenge would be maintaining their sanity on a voyage of nine months, alone. Colin Firth (The King's Speech, Eye In The Sky) stars as Donald Crowhurst, a weekend yachtsman, desperate to prove himself after a series of business failings. From the outset, he was the underdog, but as the race developed, his competitors faltered, and excitement grew as he appeared to be gaining on the leader. When the race reached the final stages toward Britain, he would need to make a terrible sacrifice. 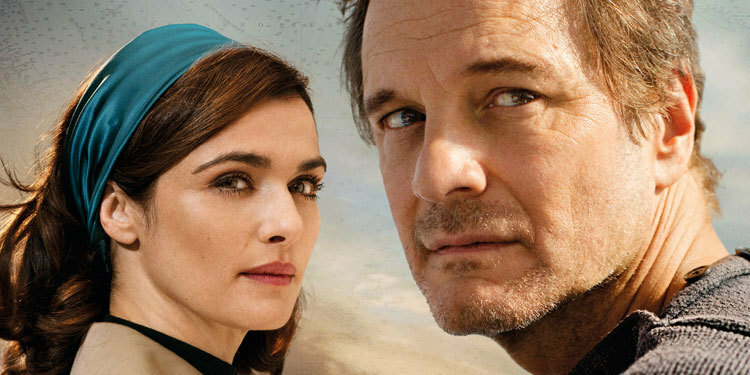 Throughout the drama, his wife, Clare (Rachel Weisz - Denial, Page 8), is stalked by reporters, eager to capture her anxiety with each radio update. The story and the personalities of the race are also captured in the award-winning and truly enthralling documentary, Deep Water, from 2006. The Mercy also stars David Thewlis. Which movie tops your list for March? Please let us know with a comment. Top of this list must surely go to Three Billboards Outside Ebbing, Missouri. Academy award winning performances for Best Actress and Best Supporting Actor.